Welcome to The Property Management Company, a full-service residential management company serving the Round Rock and Austin, Texas region. Whether you own investment property in Round Rock, or you wish to invest in real estate in a solid market, The Property Management Company can meet your needs. WHY USE THE PROPERTY MANAGEMENT COMPANY? WE CARE - THAT'S WHY! We use many sources to advertise your property such as the MLS system signs, brochures to Realtors and large companies in your area, and the use of many rental data firms. We personally show your property, pointing out amenities of the property and the neighborhood. We screen prospective tenants by using credit company reports, eviction reports, personal interviews, references, and minimum income criteria requirements. We use detailed lease forms that spell out tenant responsibilities. We send you complete accounting statements each month along with copies of invoices and your proceeds check. We survey maintenance problems, lawn care and more. We take the necessary action to correct any negative situations. We use independent maintenance people, known through our experience to do a good job, at reasonable rates. Our fee may vary depending on the type property, rent range, location, etc. The fee for most properties is a small percentage of rent received. 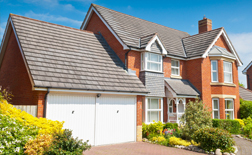 Call or E-mail for a no obligation quote for your particular property. WHY HIRE THE PROPERTY MANAGEMENT COMPANY TO MANAGE YOUR PROPERTY? Your owner proceeds check is mailed to you at the middle of every month. Your check is always on time and will never bounce. We adhere, monitor and insure that your rental is in compliance with all known property and safety codes to reduce your risk as an owner of a Texas rental unit. We run a credit report and an eviction report on all prospective tenants. We call and verify prospective tenant’s reference information. Your tenant is our customer and we do everything we can to satisfy them with prompt repair request response when a repair that is covered in their lease occurs. Our vendors are required to carry and provide proof of liability insurance and/or workman's compensation insurance. Most vendors have worked with us for years. They provide prompt, courteous service and know they will receive payment promptly. Copies of all invoices are mailed to you each month with your owner's statement report. Repair or improvements can be scheduled while the property is occupied. Renewal packages are provided to your tenant in advance of their lease expiration. Nothing costs you more than a vacancy and we work hard to reduce the likelihood of having one. Resident managers are trained to properly complete check-in checkout reports. This discourages discussion, regarding, security deposit return. Security deposit disposition is handled promptly and according to Texas law. Accounting at year-end is completed in the first weeks of January allowing you accurate and timely preparation of year-end tax information. We specialize in Residential Property Management; you can rely on our knowledge and experience. Q: What if the tenant does damage to my property? A: The Resident will be responsible for all damages beyond normal wear and tear. Q: How often do you check the condition of the property? A: Interior condition surveys are typically done prior to lease renewal. Other checks may be performed if a vendor Notices something "unusual" at the property. Q: How do you determine the rent amount? A: Rental amounts are determined by comparative properties in the neighborhood. Since we manage a large number of properties, we can also use our database to determine rents. The City of Round Rock has maintained a high quality of life and has become a place people want to make their home. Round Rock has also evolved into a focused center for economic growth in Central Texas, with industry clusters in clean energy, advanced manufacturing, life sciences and computer/software development – it is probably best known for being the world headquarters for Dell Computers. Round Rock has also been named one of the safest cities to live in the United States – a great place to call home. 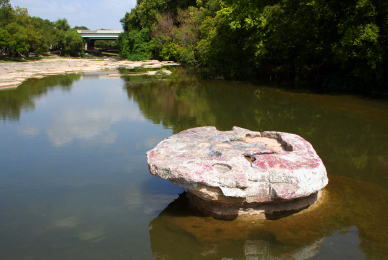 Round Rock has 34 developed parks and is home to 3 municipal outdoor swimming pools. The local Parks & Recreation Department offers many programs for kids and families throughout the year. For investors, you will find the cost of living to be quite reasonable and the tax rate one of the lowest around, making Round Rock the perfect place to settle, or invest.